JotForm is a recurring subscription service. You may upgrade or downgrade your service at any time. To change your subscription level, visit your billing page and select your new plan. To shut down your account and delete all of your information, please email support@jotform.com with “Cancel My Account” in the subject line. If for any reason you decide you want to cancel your account within 30 days of your payment, we’ll issue a full refund. To do so, just email the JotForm Support Team at support@jotform.com. 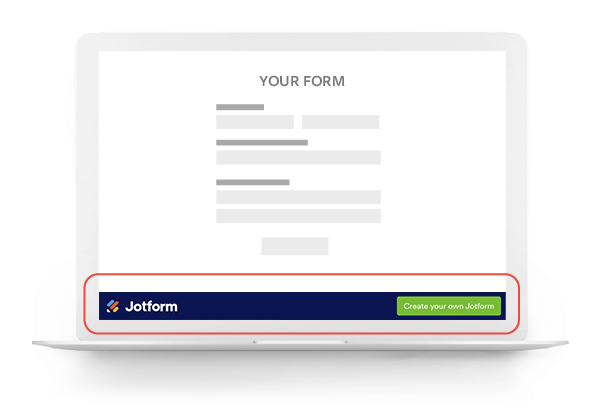 JotForm is a subscription service and will continue until you cancel. It auto-renews at the end of each term and you will be charged for the subsequent term. Our friendly support team is available to help you any time you need them, 24/7. As a special thank you to our nonprofit organizations, eligible users can apply for a 50% discount off any paid plan. The discount will never expire. To apply for the discount, sign up for a free JotForm account via our nonprofit page. Once you’ve created an account, you’ll receive instructions through email on the application process. JotForm is proud to support our educators and school administrators. Education users qualify for a 50% discount off any paid plan that will never expire. To apply for the discount, sign up for a free JotForm account via our education page. Once you’ve created an account, you’ll receive instructions through email on the application process. At JotForm, every single user (yes, even free!) has complete access to all of our features. Purchase the plan that is right for your needs, depending on how many form submissions, file upload space, and form views that you require. Easily accept online payments with credit card payment processing through our secure integrations with PayPal, Stripe, Authorize.Net, & more. JotForm offers hundreds of widgets and integrations to make your forms even more useful, including Adobe Document Cloud eSign Services, Salesforce, DropBox, Google Docs, etc. See how your forms are performing with Form Analytics. Use the data to optimize your conversion rates and improve the functionality of your forms. Make your forms look just the way you want them. Responsive by default, your forms will look just as amazing on every mobile device. Choose ready to use styles, beautiful fonts, backgrounds, and color schemes. From small start-ups to top players, we are proud to help a vast ocean of professionals all over the world.